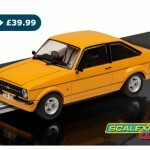 300 likes and a Competition Get something you really want for Christmas! Lightning McQueen invited his friends from around the world to take part in a charity race. After Lizzie showed them an old photo album of Stanley and a famous H-1 racer, who was painted silver, this gave Lightning McQueen the idea for the Radiator Springs Silver Speed Charity Race. 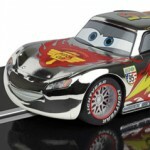 This chrome edition Lightning McQueen is perfect for every Disney/Pixar Cars 2 fan! Stock is limited so don’t miss out. 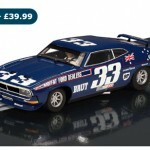 When the Ford Works team withdrew from racing at the end of the 1973 racing season Allan Moffat set about building up a Falcon of his own for the 1974 Bathurst race. This would become the most publicised and possibly the most expensive entry in the history of the race. He utilised facilities and personnel of Ford from both the United States and Europe in this attempt at winning his fourth Bathurst. The project was code‐named Falcon B52.